HAMPTON, VIRGINIA—During a preseason conditioning workout Tuesday, Michael Vick's de facto mentor, Tony Dungy, peppered the troubled quarterback with innocent questions about the sport of dogfighting, offhandedly inquiring about how "cool" it is. "So, yeah, how fun was that, anyway, the whole dogfighting thing?" asked Dungy, while the two jogged side-by-side during a cooldown. "Must have been a real rush watching those dogs go at it like that, huh? Morally reprehensible, of course, but, man, it's got to be tempting to head back to the pit and just mix it up a little. Good thing you're not doing that anymore. So bad." 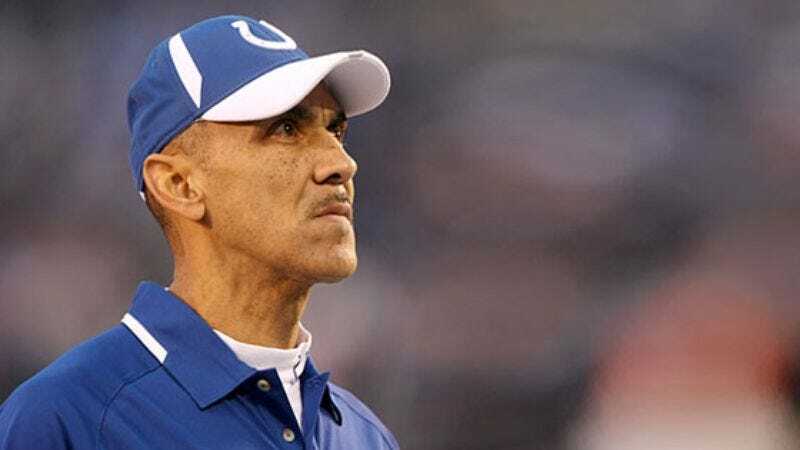 Dungy later showed Vick a photo of his new pit bull, Tex, and asked him what he thought.